To discover Henry is to throw out all your notions of 18th-early 19th century life in small town America. Henry was not living on the primitive frontier, nor was he absorbed in the question of survival to the exclusion of all else. Henry's table was set with silver, and he was as concerned with art and poetry, literature and music, as anyone whose ancestors were getting their masters' degrees back in the 1400's. Blessed with the open-minded New York Dutch heritage, Henry's views on the education of women, reverence for nature, and respect for Native Americans are views we can easily appreciate today. 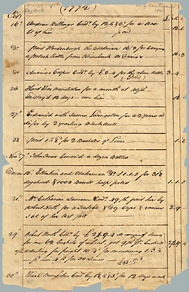 As John Jay's wife joked in a letter, it was not unknown for Harry to "break bulk" in the volume of his correspondence. And letters weren't the only written materials Henry left behind. He kept books of his daily expenses and events of the day, as well as books of favorite music and of his own poetry. Because Henry's descendants were frustrated by not having Henry recognized as the author of the Christmas poem, many of these papers were preserved, and are still available to help us get to know this kind and good man. 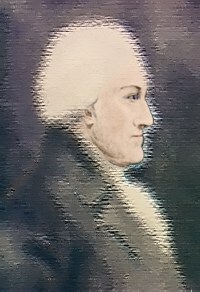 While Henry's brothers chose careers in the law and in the Dutch Reformed Church, Henry's path lay on the land he had known from his birth, the estate on the Hudson River that had belonged to his father, Henry Sr., and before that, to his grandfather, Captain John Conklin. 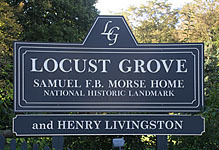 In 1771, at the age of twenty-three, Henry became the owner of Locust Grove, the southern most part of his father's land. Rather than building right on the River, Henry built on the Post Road, our Route 9, and the place where his home was can still be seen at Locust Grove today. Wherever practically possible, full texts of source materials are available. You'll find everything from a Clement Moore apologist's brushing off of Henry, to the defense of Henry's authorship by Henry Noble MacCracken, then president of Vassar. For those who prefer fewer words and more pictures, I've included my slideshow presentation, given at Locust Grove on December 1, 2001. It covers the work leading up to Don Foster's chapter on Henry in Author Unknown, as well as giving the history of the Livingston extended family's efforts to bring Henry's claim to public notice, and gives an overview of Henry's life and times.